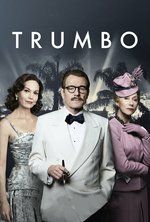 I liked Trumbo, but I wish its creators had stuck to the facts. There were, after all, ten of the Hollywood Ten — did they really need to make up Arlen Hird (the Louis C K character) because none of the real ones had lives that were totally ruined? And why malign Edward G Robinson, who, though he did testify as a friendly witness in real-life, never named names? By saying, for the sake of fictitious drama, that Robinson did something heinous that he never actually did, the film is not much better than some of the figures it's attacking. The film also gives the impression that Hedda Hopper was single-handedly the author of the blacklist, and though she may have been influential, I'm sure it wasn't just her idea. That said, the look is great, and the performances are awesome. Cranston wows me every time I see him. John Goodman has the best five minutes of the film. And Helen Mirren is perfect as Hedda Hopper. It's too bad they couldn't work in anything from the period when Steve Martin was dating one of the Trumbo daughters. I would have also liked to have seen Millard Kaufman in the film — he was a front for Trumbo for the film Gun Crazy, but he was also one of the creators of Mr Magoo.